Tumbahamphe elected Deputy Speaker of House of Representatives - Integration Through Media ....! 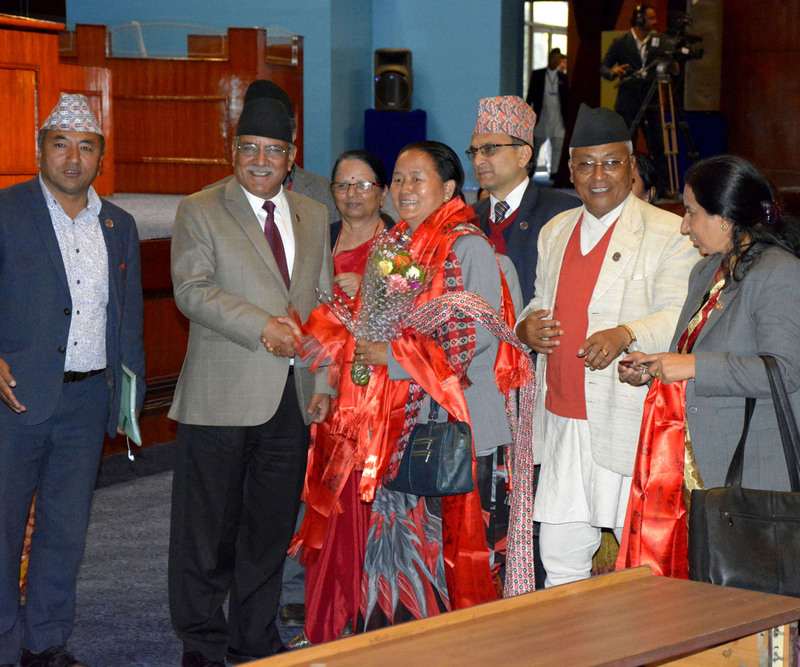 KATHMANDU: Shiva Maya Tumbahamphe has been elected Deputy Speaker of the House of Representatives. She garnered 201 votes while her closest rival Pushpa Bhusal (Gautam) got 58 votes. Tumbahamphe from the CPN (UML) was backed by the left coalition of the UML and CPN (Maoist Centre), while Bhusal by the Nepali Congress. Maoist Centre leader Dev Prasad Gurung proposed Tumbahamphe for the post, while Bhusal by NC’s leader Dila Sangraula. Speaker Krishna Bahadur Mahara announced the election of Tumbahamphe to the post at today’s meeting of the House of Representatives. A total of 259 parliament members took part in the election. Earlier, 61 parliamentarians voted in favour of Bhusal, while 201 parliamentarians voted against her. The House of Representatives meeting will meet next at 1 pm on April 25.